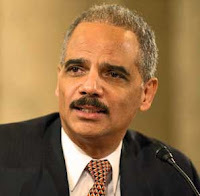 Middle East Perspectives by Rick Francona: Eric Holder in Egypt - can you spell UGLY AMERICAN? Eric Holder in Egypt - can you spell UGLY AMERICAN? Attorney General Eric Holder's comments while in Egypt raise several questions, not the least of which is: when you went to college, did you not read the novel The Ugly American by Eugene Burdick and William Lederer? If not, please have some minion on your staff get you a copy of the book, or at least the Cliff notes. Failing that, watch the movie. I realize that you have very little international experience in general, and absolutely none in the Middle East. You really need a quick course on what not to say that might come back to bite you in the backside. Of course, that also begs the second question - why are you in Egypt at all? We'll get to that later. Back to your comments about Egyptian elections. "One of the things we are concerned (about is) that elections will be held here in a free and open way ... there is certainly a capacity here to do that. We are hopeful that elections will be held in a free and open manner." You are of course referring to statements made by various human rights groups about alleged abuses in past elections including security forces and ruling party backers blocking opposition supporters from casting ballots and inflating results for government candidates. Whoa! I think I just read something eerily similar to that about the 2008 presidential elections in the United States. 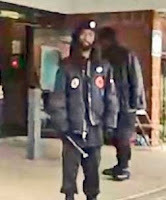 In case you have forgotten what many believe is either racially motivated dereliction of duty or just outright corruption, what action have you taken against three members of the New Black Panther Party for Self-Defense involved in voter intimidation in Philadelphia? Anyone who has seen the videotapes of the incident knows what happened. They also know that you refused to take any action against two of the perpetrators and basically let the third one go with a reprimand. I submit that if I had tried that at a polling place, I would be in jail. With all that baggage, are you sure you want to lecture the Egyptians on "free and open" elections? Doing so merely highlights your arrogance, your lack of understanding of just how Americans are viewed in the Middle East, and frankly, how badly you are thought of at home. So back to the other question - why are you even in Egypt? Is there some burning international justice issue that required your attention? You were stopping off for a little sightseeing on your way home from Uganda, and thought while in Cairo you might take some time to insult our Egyptian allies? I thought insulting our allies was the purview of Secretary of State Hillary Clinton. Okay, another question - they just keep on coming, and the answers just get better and better. Why were you in Uganda? It seems that you were chosen to represent the United States at the recent African Union summit in Uganda, the theme of which was "Maternal, Infant and Child Health and Development." Again, where is Hillary? Why is the U.S. Department of Justice involved? Perhaps this was a mission more properly assigned to the U.S. Agency for International Development (USAID)? Please tell me it had nothing to do with race. It would seem to me that you have enough to do as our chief law enforcement officer in this country without worrying about maternal, infant and child health and development in Africa. 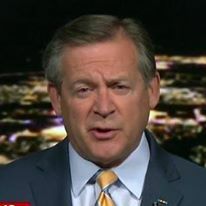 Call me crazy, but maybe you should be focusing on issues such as illegal immigration - or suing states that are trying to do something about it because of your refusal to enforce federal immigration laws. I guess that has as much stature as federal voting laws in your world. Then, if that's not enough to keep you busy at home, there is the leak of 91,000 classified documents to an anti-war website - let's see if you prosecute that. Yes, Mr Attorney General, there are real issues to address, instead of jaunting off to Uganda. Of course, if you're doing that, that means you have less time to devote to such ludicrous (and money-wasting) proposals like trying 9-11 conspirator Khalid Sheikh Muhammad in federal court in New York City, or moving the Guantanamo terrorists to Illinois. The next time you get the urge to travel to the Middle East, please lay down until the urge goes away. Maybe the question to you should not be, "Can you spell UGLY AMERICAN," but simply, "Can you spell AMERICAN?"